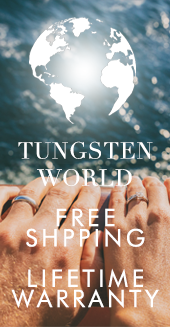 Online retailer of tungsten wedding bands and cobalt rings,https://www.tungstenworld.com/, launches user-friendly & responsive website nearly a year in the making. 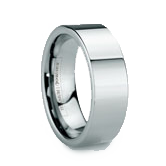 An innovator in the sales of alternative wedding bands online, Tungsten World has long stressed the need for modern techniques and service to assist customers in selecting the perfect wedding band for their needs. The launch of a new user-friendly and responsive website is both progressive for the jewelry industry, as well as the tungsten retailers’ clientele who are looking for durable rings & wedding bands intungsten, cobalt, titanium or other metals. In a jewelry industry now bringing about so many new cut-throat companies like Amazon.com and Overstock.com, whom also have websites that are considered "responsive," these wholesalers lack the ability to sell quality products like brick and mortar companies can. 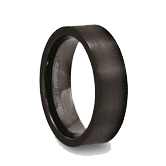 These smaller companies like Tungsten World continue to maintain higher price points which in turn provides higher quality products and higher quality services for their upscale customers. 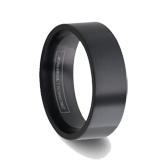 With the brand new look and feel of TungstenWorld.com, customers will find a wedding ring website that is not only as unique as its products but as cutting-edge and functional as well. "Our website is our first impression," says Stephen McKenna, Tungsten World Owner. 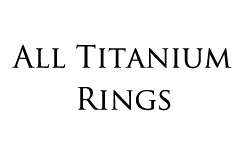 "The look and feel of this new site will instill the confidence customers need to know we’re here to help them not only pick the perfect wedding ring, engagement ring or durable everyday ring but we’ll also be there to provide assistance long after their big day." Among those excited about the many new features customers will enjoy at Tungsten World’s new homepage, mobile browsers will likely be the happiest. By integrating a responsive design that automatically adapts to different screen sizes, TungstenWorld.com will allow those shopping on non-traditional platforms an ease of use they’ve never experienced while shopping online. With a growing population of consumers preferring smartphones, tablets, ipads and netbooks to their standard desktop, Tungsten World is staying on the cutting edge of modern online retailing. In addition to the responsive design, the Tungsten World homepage will also provide customers with a clean and useful layout, a new full site-search, updated navigation menus with added education content and faster load times than ever before. 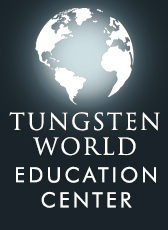 "The plethora of devices and widespread adoption of different internet connected devices is rapidly increasing, including smartphones and 7-8 inch tablets to ipads, netbooks, laptops, PCs, widescreen monitors, etc.," said Chris B., Tungsten World’s Marketing Director. 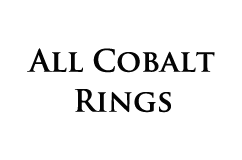 "To provide consumers with the best possible experience on any device we have implemented a revolutionary new website programming standard called ‘responsive design’ in which our website will adapt and resize automatically." 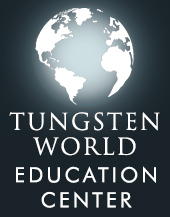 To experience Tungsten World’s newly launched site, go to https://www.tungstenworld.com/. Based in Orange County, Calif., Tungsten World is a leader in retailing tungsten rings, cobalt rings, titanium and alternative metal wedding bands online. Tungsten World's Tungsten Forever™ brand offers the absolute highest quality women's & men's tungsten carbide rings & tungsten jewelry products, including tungsten wedding bands; all of which include a lifetime warranty and are offered in a variety of styles to meet the demands of today's trends.